Sakina loves birds. 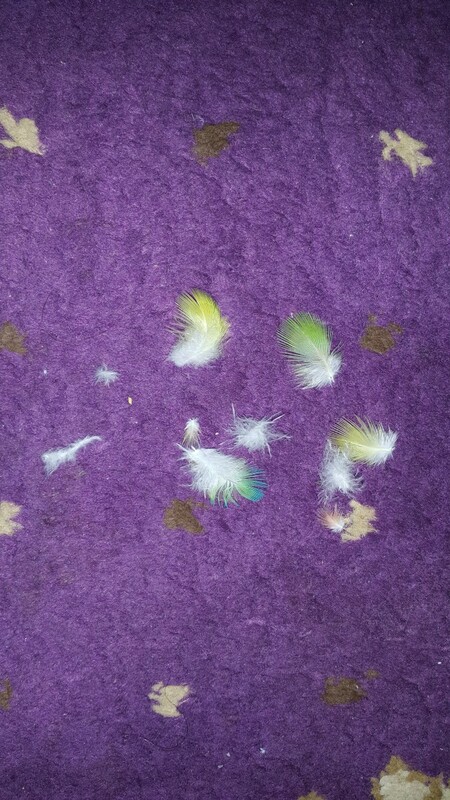 She had 2 IRN parrots and 2 budgies. Now she has 2 lovebirds, one of which is a peach-faced male hand-raised by her. Lovebirds are playful birds. They love staying out of their cage all the time. 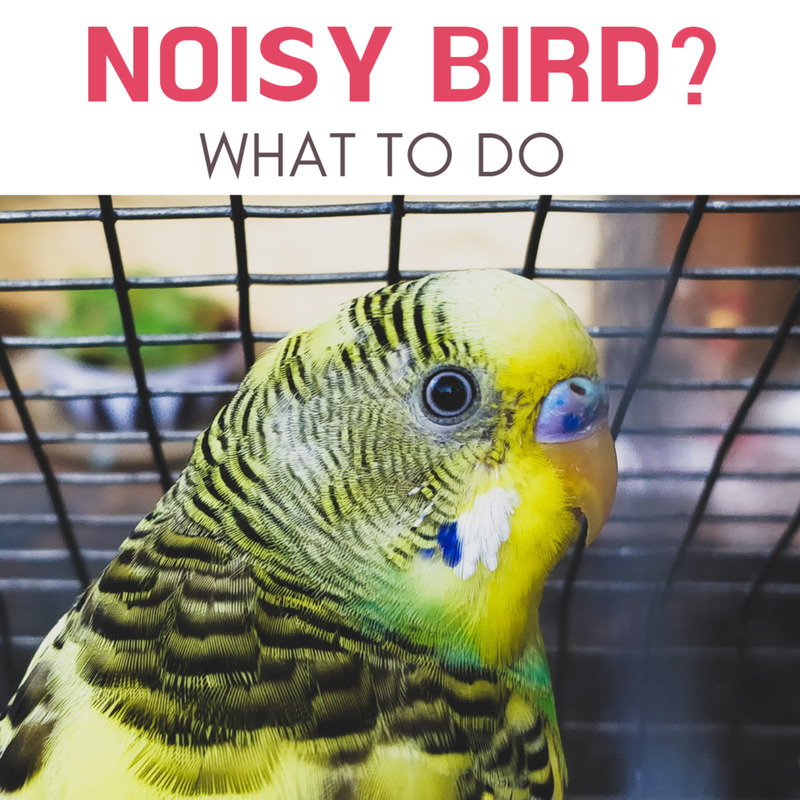 Tired of trying every possible method of putting your lovebirds back in their cage? Do you have an emergency on hand? Fear not, this article discusses some simple ways in which you can coax your pets into going back inside their cage. 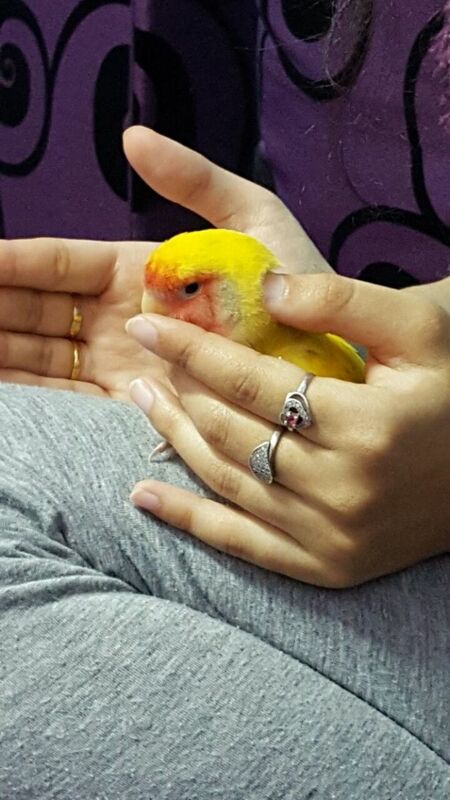 For this step, you have to first let your pet perch on your fingers. Slowly take him/her towards the cage. 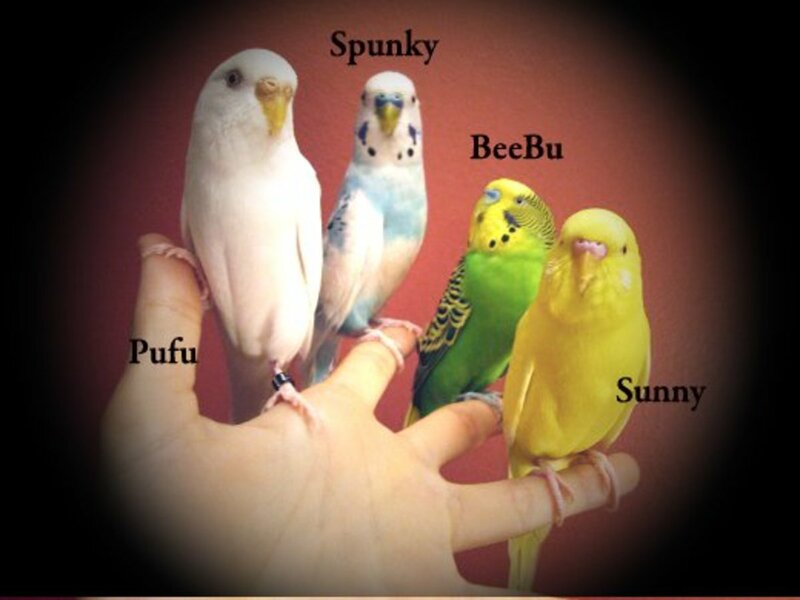 Put your hand inside the cage and slowly transfer your bird to one of the perches. Quickly remove your hand and close the door of the cage. 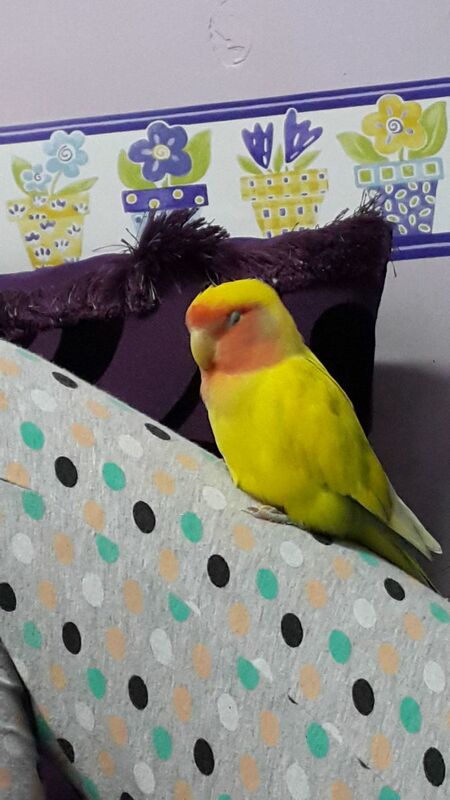 The above step is only possible if your lovebird is sleepy and inattentive. For this step, you have to let your pet perch upon the cage's door. Slowly raise your palm behind his/her back. 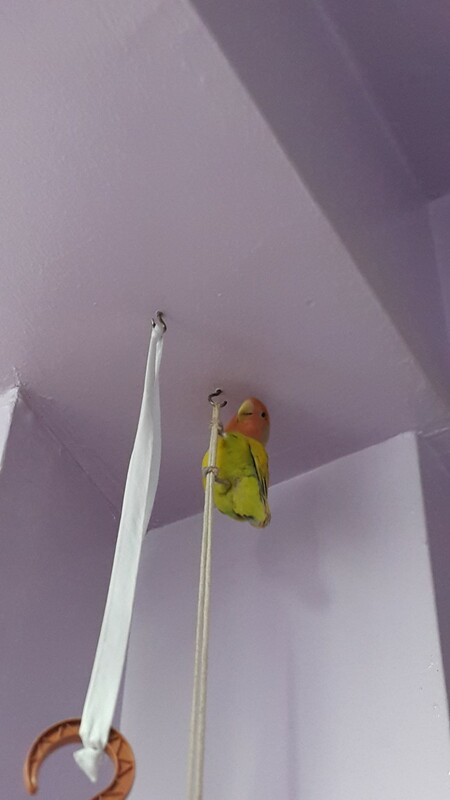 Your bird is likely to jump inside on a perch as his/her balance is disturbed. 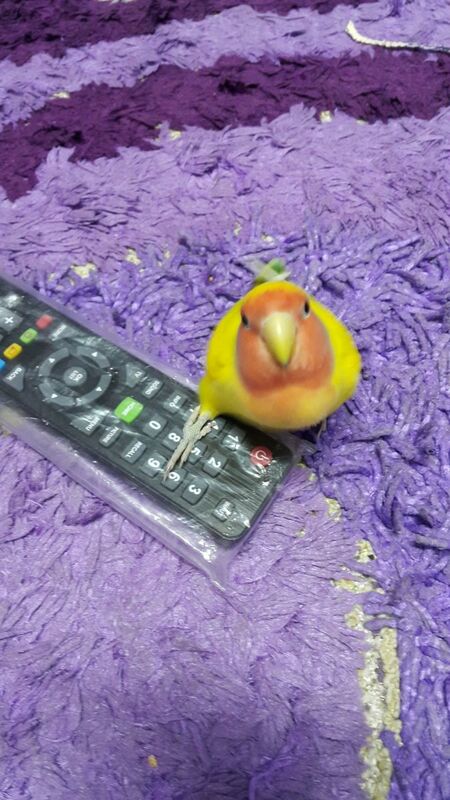 Take your lovebird's favorite toy and place it behind the cage. Make sure your pet sees the toy. 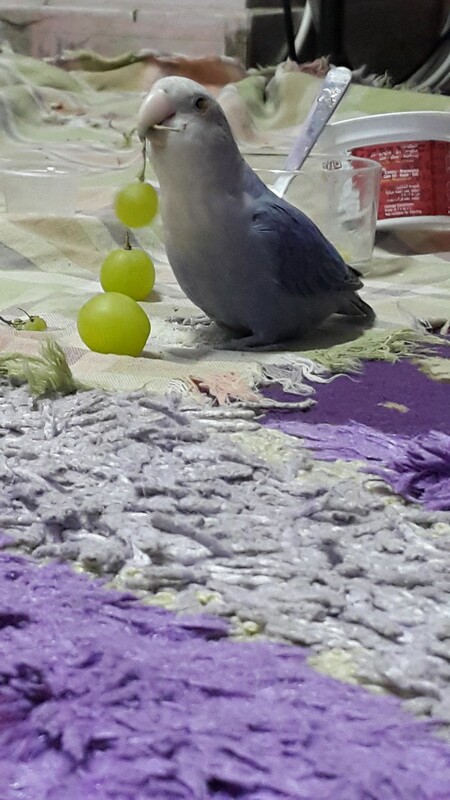 He/She will think that the toy is inside the cage and will rush to grab it. You can shut the cage door after your pet gets inside. 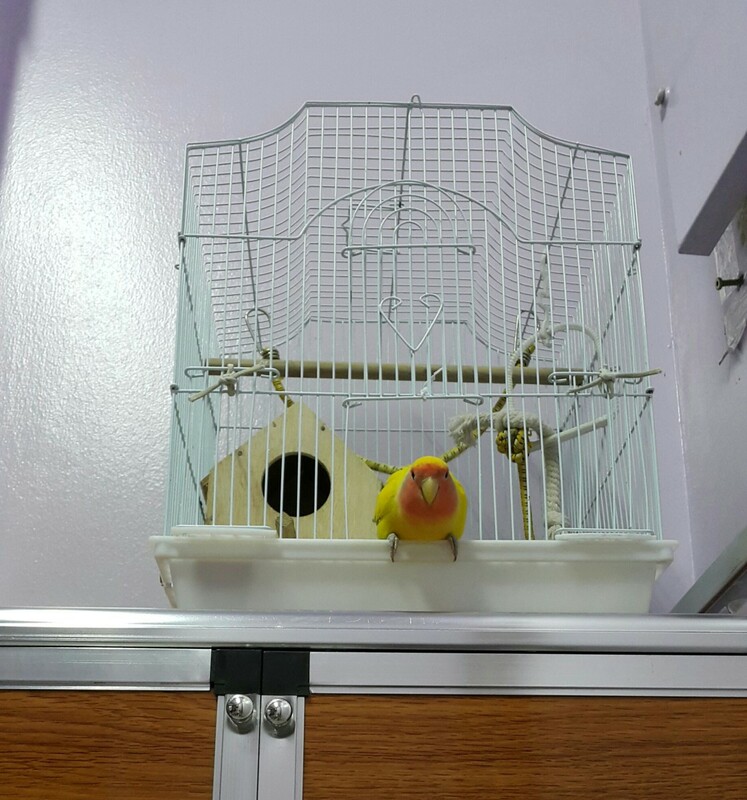 Let your lovebird sit in front of/near the cage. Slowly slide your fingers into the cage bar and shake them. One finger may do the trick. 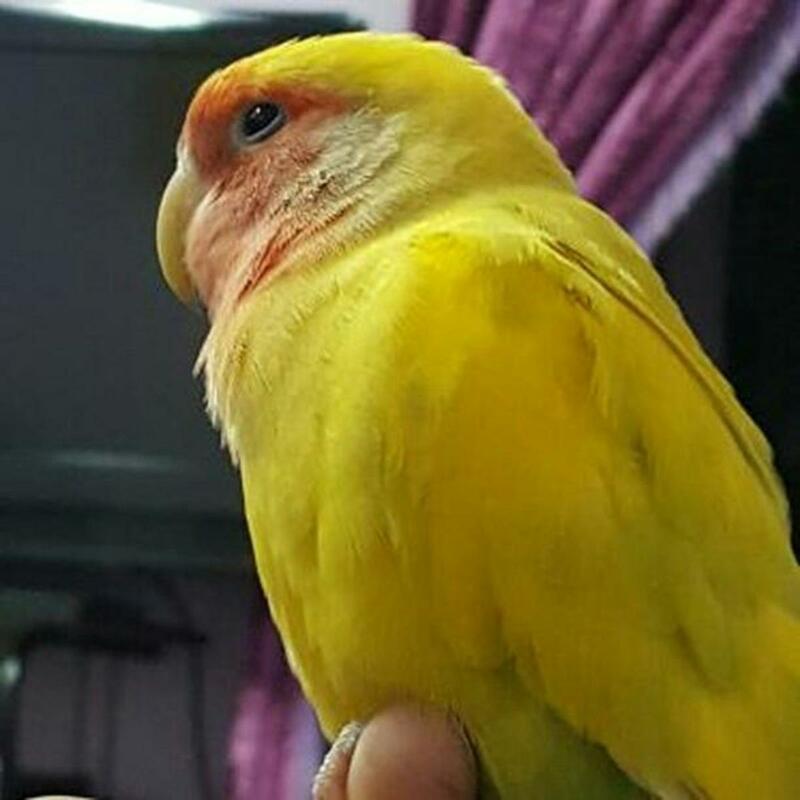 Your lovebird will look at your fingers and jump inside the cage in an attempt to play with them. You can close the cage door after he/she gets inside and remove your fingers from between the cage bars. While doing the above step, remove your fingers from between the cage bars as soon as your pet gets inside. Otherwise, it is likely that you may get a nasty bite. Birds are territorial of their cage and get protective of it easily. 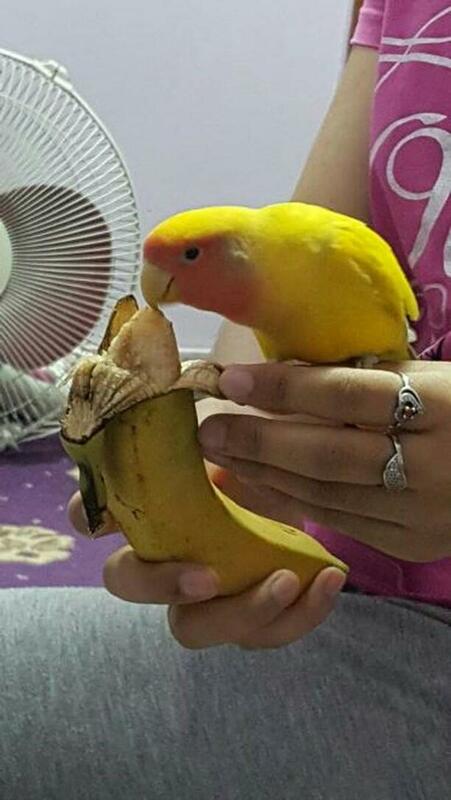 Take your lovebird's favorite fruit or vegetable. Most lovebirds love green, leafy vegetables like spinach. One of these will do the trick. Place the fruit/vegetable behind the cage and move it slowly, making sure that your pet sees it. He/she will surely run inside the cage to grab it. If possible, either fix the fruit in between the cage bars or throw the spinach (if you use this) inside the cage. Your pet will be happy and think of it as a treat. For this trick, make sure that you have something which is completely new to your pet. Maybe a small rope, or a tiny thread. Anything which can raise his/her curiosity. Wiggle the object in air and pretend that you're having fun. Your pet will fly towards you and will probably want to catch what you're holding in your hands. Slowly move it behind the cage and try to squeeze it between the cage bars. If your bird gets inside, you can close the cage door and remove the object from behind. 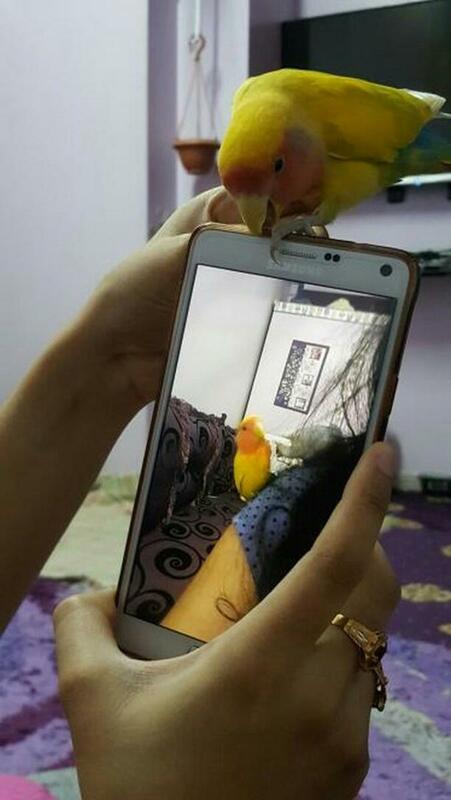 This trick is beneficial when your pet is adamant on flying away when you try to put him/her inside the cage. To give you a little idea about how I trick my lovebird into going inside the cage, I've included two videos that were shot while I did the trick. The first video shows how Mumu, my lovebird, isn't willing to go inside the cage despite my urging him to go. Please watch the video below. The second video shows Mumu, my lovebird, being tricked successfully into going inside the cage. Why Won't My Lovebird Go Inside Their Cage? One of the most common reasons why your pet doesn't want to go inside his/her cage is hunger. They can't tell you they're hungry, but they can give you signs. So, the next time your pet doesn't want to step inside his/her cage, trying feeding him/her. 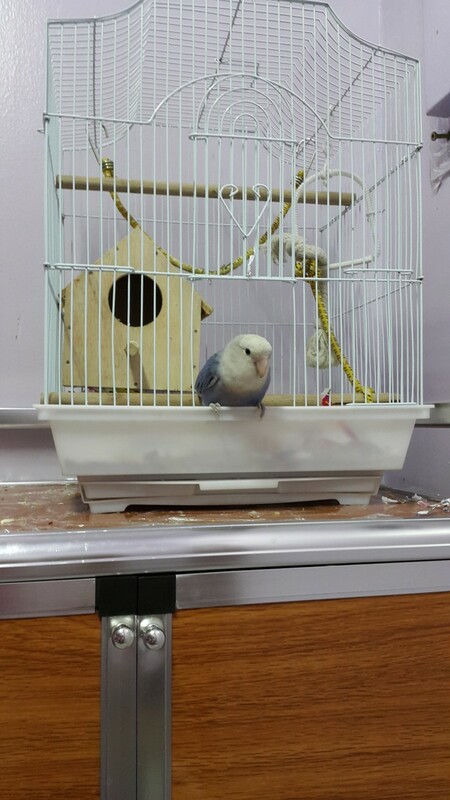 Once he/she is well fed, you'll notice that your pet has flown inside the cage by himself/herself! 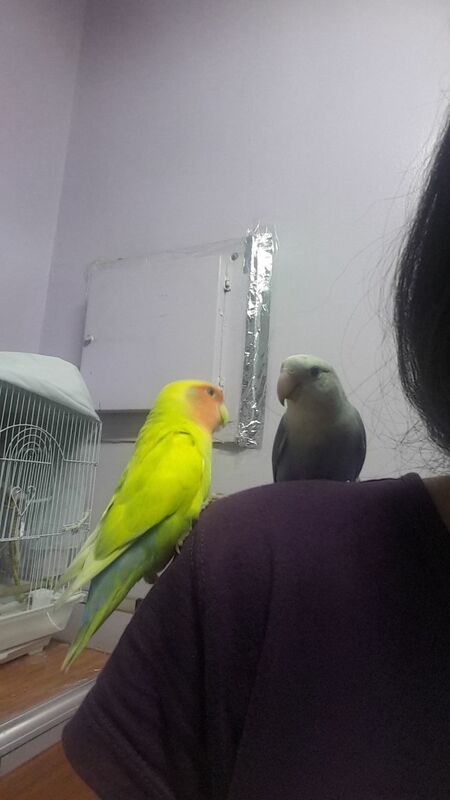 Lovebirds, or pets in general, want your attention all the time. They need to feel loved, pampered, and they want you to play with them. 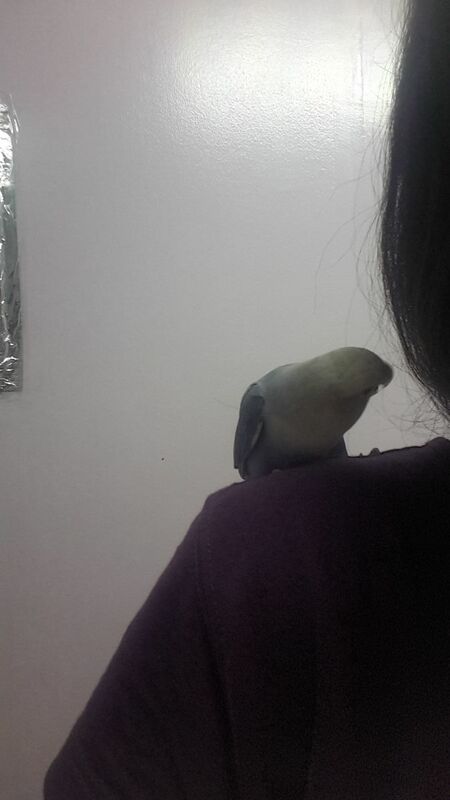 My male lovebird, Mumu, loves to sit on my shoulders and also plays by jumping on both of my knees. 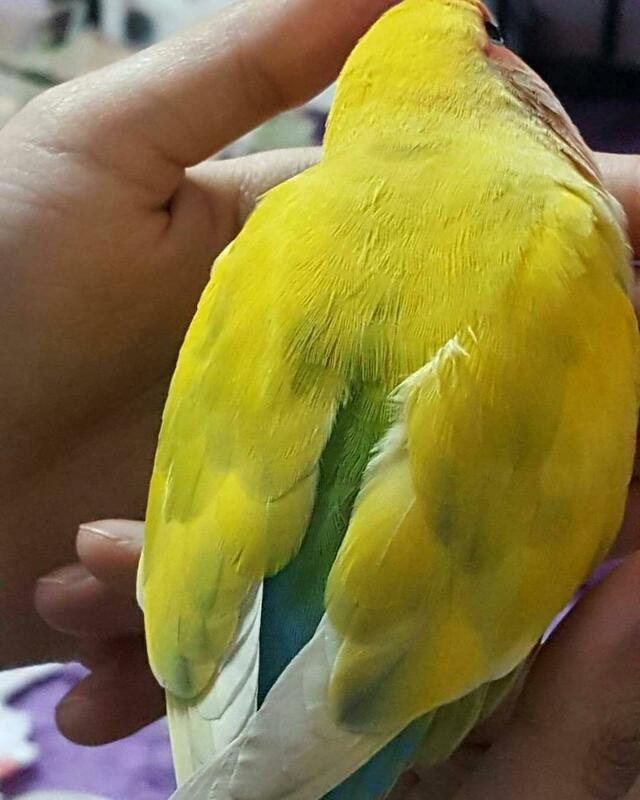 My female lovebird, Lulu, has begun to enjoy sitting on our shoulders recently, and she too tries to grab attention when she sits on my knees. 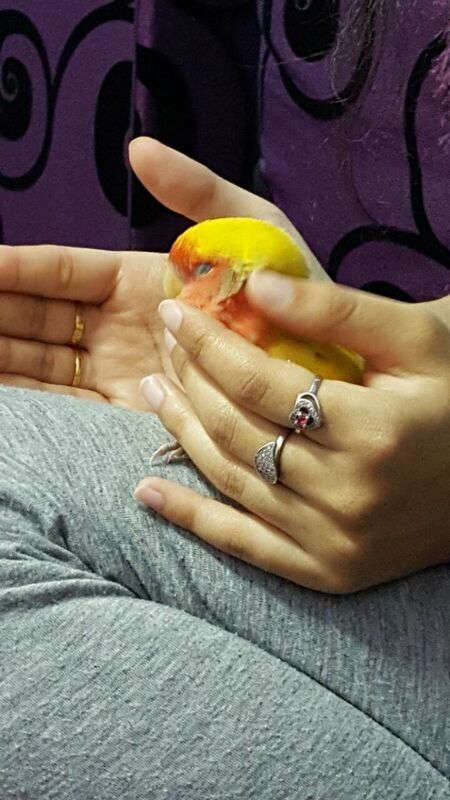 Wanting attention is another reason why lovebirds don't want to go back to their cage. 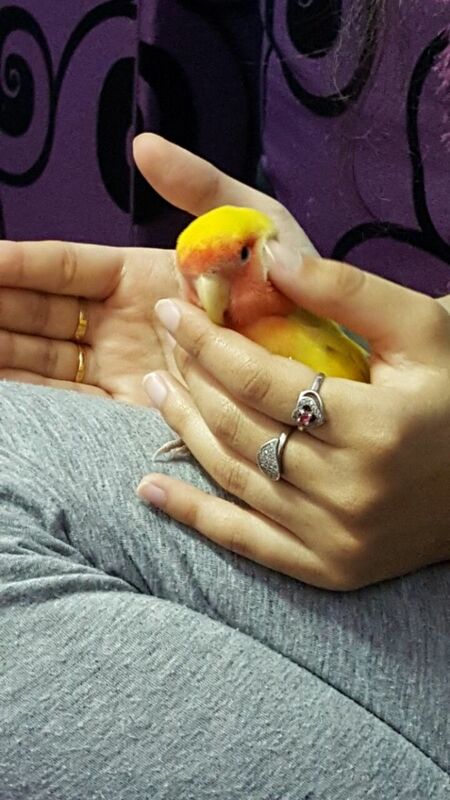 One reason why your lovebird won't leave your side is because he/she might want to be scratched (in case of hand-raised ones). At times, your pet will scratch his/her head against your palm or finger. Gently scratch their head, cheeks, and neck, and you'll find him/her getting sleepy soon. Pets love scratches as they feel itchy most of the time. When your pet feels sleepy, at times, he/she might want you to put them to sleep. They'll either rub their head against your palm and signal that they want to be scratched, or will become fluffy and "plop" down on you. 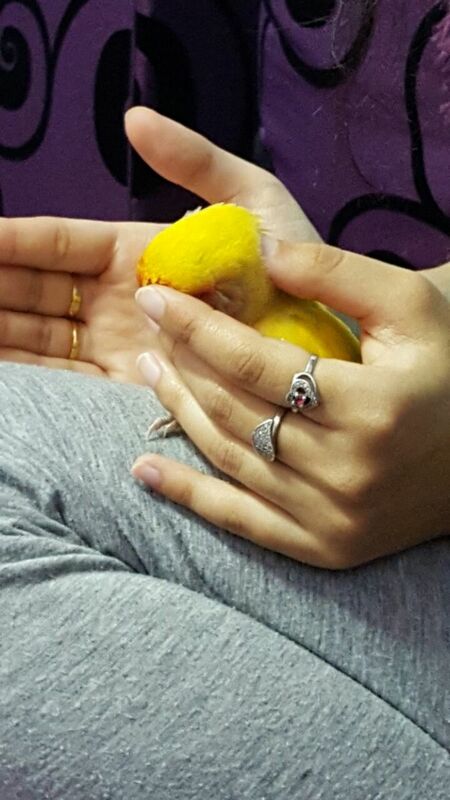 My lovebird, Mumu, mostly loves to sleep on my thigh and on my palm at times. After your pet falls asleep, you can gently carry and place him/her inside the cage (see step 1). Your pet doesn't want to go inside his/her cage simply because he/she doesn't want to be caged! Your pet needs freedom, the freedom to play and fly around your house, which is his/her house as well. They love being free because it is in their basic nature. The next time your pet troubles you while you try to put him/her inside the cage, leave the trying and let him/her enjoy. Once your pet feels that the playing or flying is enough, he/she will go inside the cage without your need to run behind. I have pommies and cats. I am afraid to let birds fly outside their cage. What do you suggest? If your furry pets are comfortable with you and your house, they won't mind the birds. You can let them fly out and supervise the interactions between the birds, dogs, and cats. If you find discomfort, put them back in their cage. Do this on a daily basis, and your pets will get comfortable with each other. 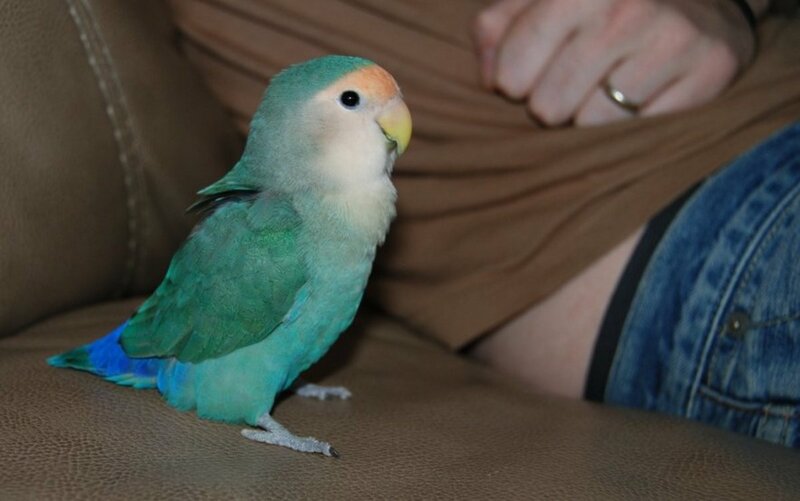 Why Choose a Lovebird for a Pet? @Haris Hi! :) Thank you so much. No, you don't need to be afraid, rather they will be. They will take around 1-2 weeks to get used to the new environment (your house) and you will find them exploring stuff. They may even hide under shelves or in dark places. But don't worry; it's normal. No, please don't cut their wings, they get really depressed. Let them out and wait for them to get used to it. If they don't feel comfortable, they will go inside the cage themselves. Do keep in mind to close all doors and windows, fans, etc when they are out. Also, don't sit/stand close to them; stay away. They will trust you and will appreciate having their own space. 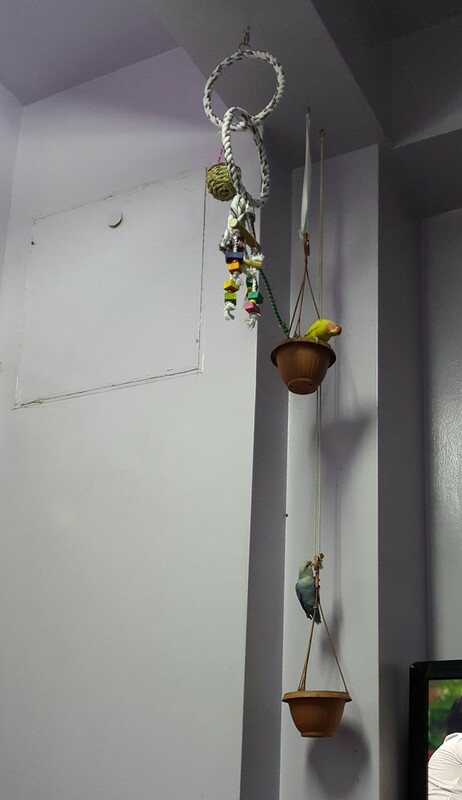 After taking them out of the cage for a couple of days, you can place fruits, seeds, and water near them, they will eat/drink from it in some time. Very nicely written and informative post. Keep posting. 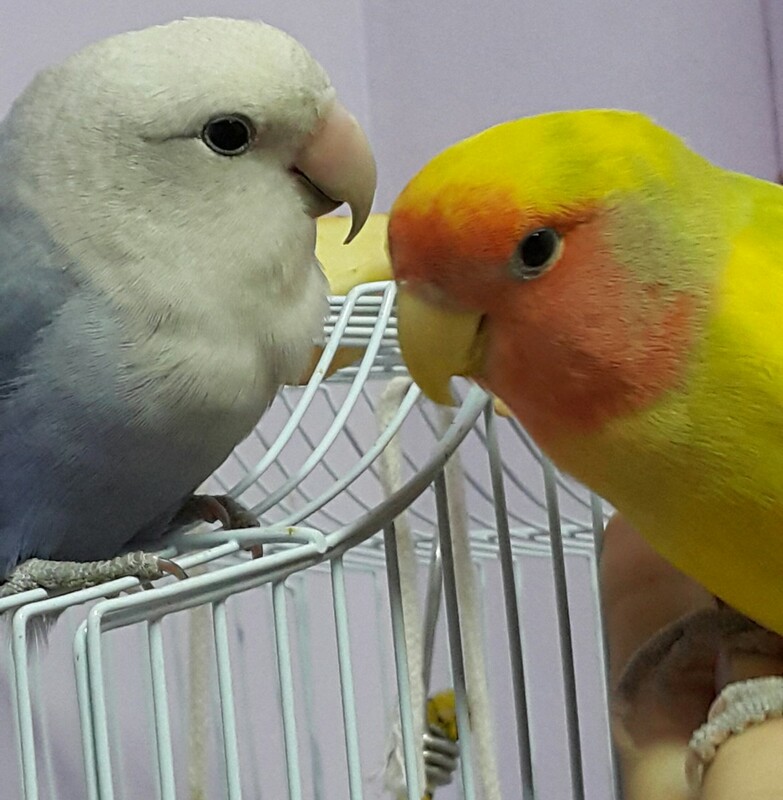 I got two love birds two weeks ago, and they are still in their cage. I am afraid to let them out. 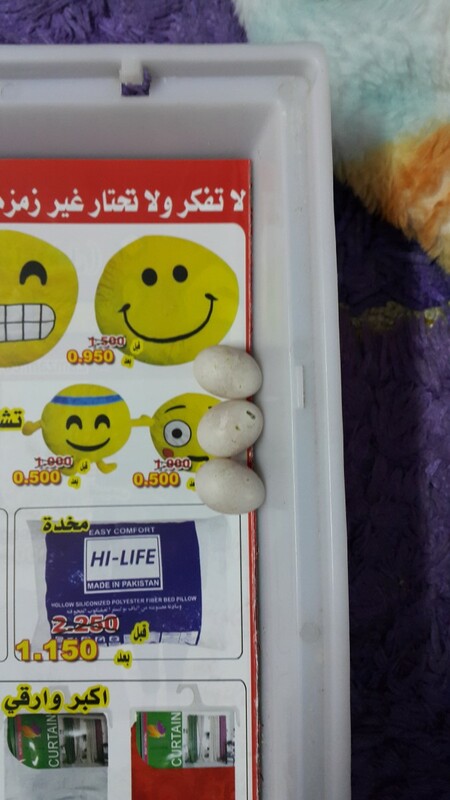 My friend advise me to cut their wings before letting them out. Do I have to cut their wings a bit? Oh my! Please spray water on them, so their wings will become heavy and they will not be able to fly for some minutes. Then you can either hold and put them in their cage. If that's not possible, you can put the cage over the lovebirds when they are on the floor. Hope that helps. 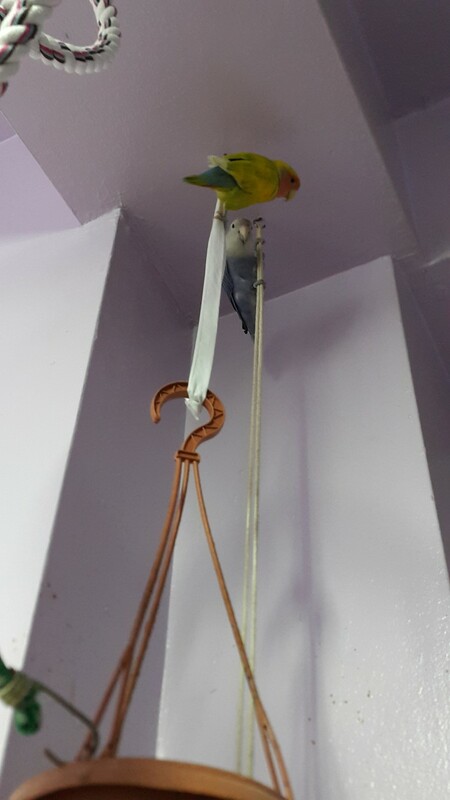 My two love birds are not tame and have been out of their cage flying around for 3days now and have tried everything to get them in. Have any ideas as to what I can do ? @Sabah Mukadam Hi! :) Thank you so much for your comments. I hope you can benefit from this. @Ashi Hey! :) No, I'm so sorry I didn't quite get to see your comments. I can view two of your comments now. One where you mentioned whether I had seen your last comment and the second one where you've tagged me and asked if I could see your comments. I got to see your previous comment now and thank you so much! 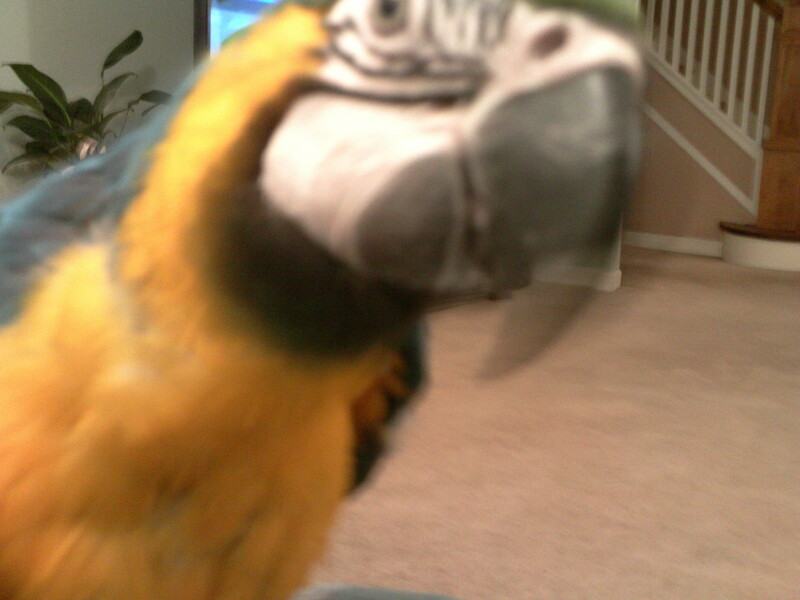 Mumu and Lulu love to play with us, especially with my dad. :) I'm happy you could find this article of mine helpful. Do you have lovebirds? Are you getting my comments? Did you receive my comment for this article? Thank you so much! :) Lovebirds are active birds and love to play a lot. Thank you so much once again, I've emailed you and hope to hear from you soon. Take care, buddy. Omg...wow Sakina. 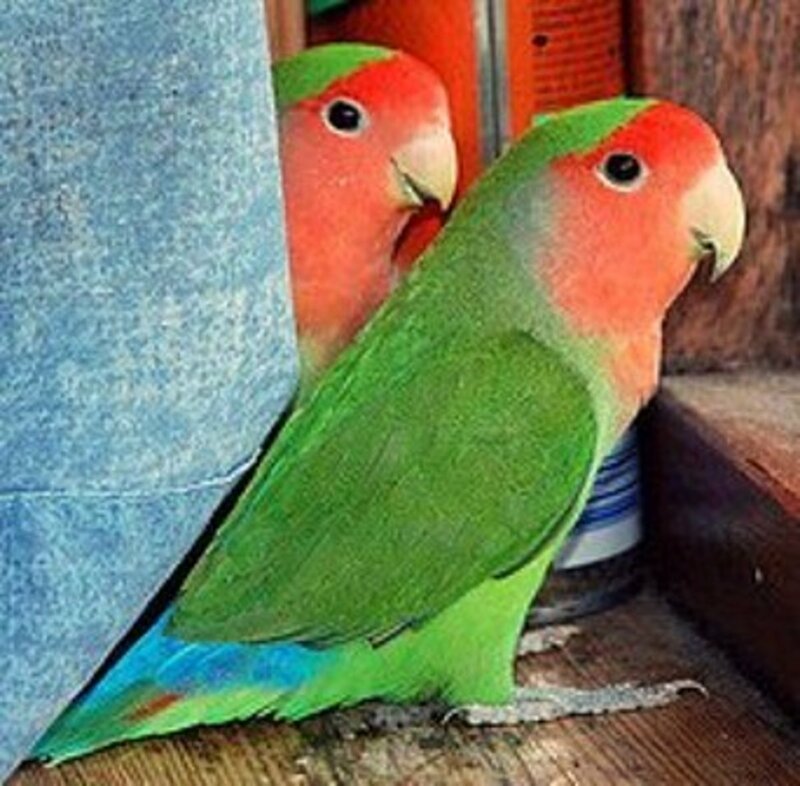 This is wonderful tips and tricks on How to Put Lovebirds Back in Their Cage. I am sure bird or lovebirds owners are going to find this very useful. I am really pleased to see photos of Mumu and Lulu. They are so adorable and charming. 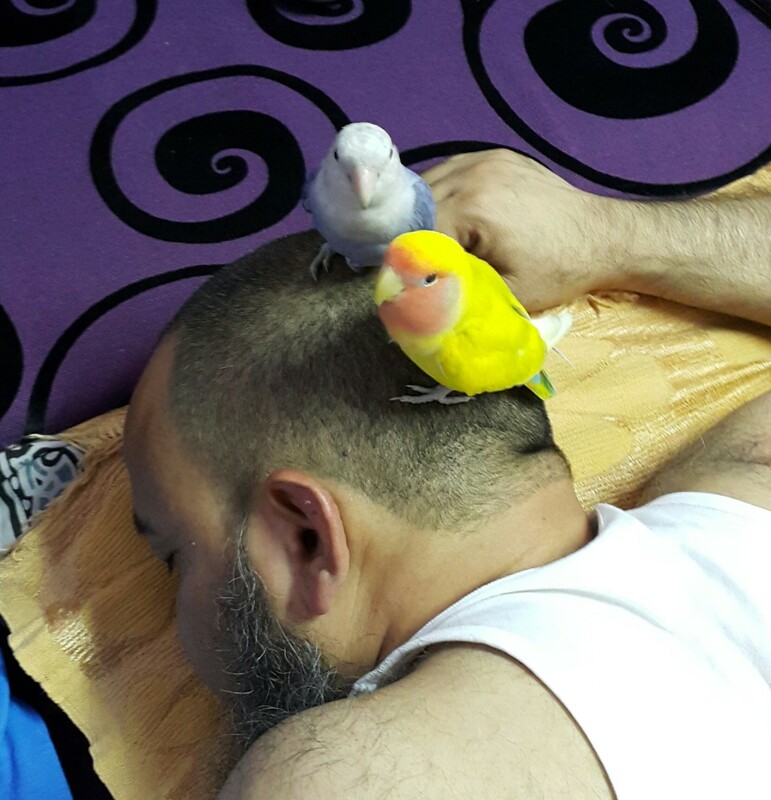 My favorite photo is where Mumu and Lulu, sitting on your dad's head..haha...its really funny. Sweet friend, you ARE always welcome. You deserve all of my compliments . . .and many more. Thank you so much for these warm comments about Mumu and Lulu. They say hi to you too and that you're an amazing writer yourself. What a delightful, highly-informative hub! Loved every word and your topic was not only a must-read for all who are interested in lovebirds, but a blessing to read. Say hi to Mumu and Lulu--and YOU, Dearest, keep up your fine work.